Why have HD Brows/Precision Brows at Therapy House? Gorgeous eyebrows are not just a celebrity must-have but an essential for anyone wanting a flattering and immediate way to enhance their look. The shape of your eyebrows can change your whole appearance by framing and emphasising your eyes, as well as adding balance and symmetry to the rest of your face. HD Brows/Precision Brows give you the ultimate well-groomed and high definition eyebrows so you feel confident that your brows are the perfect shape and colour for your face and personal style. Your treatment will begin with your HD stylist assessing your facial shape and colouring to determine what your perfect brows should look like. Every treatment is different, depending on the shape and condition of your eyebrows when you come in to Therapy House. Our stylists will use custom blending, shaping, designing, colouring and much more to fill, shape and define your brows. Many people comment that an HD Brows/Precision Brows treatment acts like a mini-facelift without any invasive procedures because beautiful brows – shaped specifically to your face – will frame and open the eye area. How long does an HD Brows/Precision Brows treatment take? An HD Brows/ Precision Brows treatment isn’t like any eyebrow shaping treatment you may have had before. This is because of the scope of techniques used to create your ideal brows. You should expect your appointment to take between 30 to 45 minutes. Simply sit back and relax while we transform your brows. How long do HD Brows / Precision Brows last? You should expect your HD Brows / Precision Brows to last for between four and six weeks, depending on your hair growth, after which you may want to book a maintenance appointment. 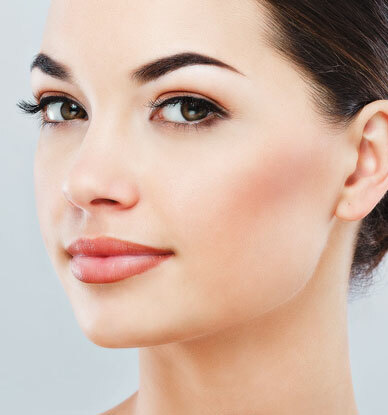 How can I keep my brows looking fresh and well-groomed between treatments? Although your HD Brows/Precision Brows should last for up to six weeks, you may want to change your look during that time, perhaps because of a big night out or to suit a different style. Whether you want soft and subtle or full-on dramatic brows, we offer a range of award-winning make-up to keep your brows looking fantastic. I have over-plucked, sparse eyebrows – can I still get HD Brows/Precision Brows? Thanks to past beauty trends, you’re not alone in having sparse, over-plucked eyebrows. The good news is that we can follow a re-growth programme with you to encourage and improve your hair growth, and use other techniques in the meantime to thicken and reshape your brows. This can include using make-up but, don’t worry, we’ll demonstrate how you can maintain the look at home. Can any beauty therapist or practitioner offer HD Brows? No, HD Brows can only be offered by specially trained HD stylists. Want to know more about HD Brows/Precision Brows?